﻿﻿﻿﻿VP recording artist Duane Stephenson was kind enough to spend a little time with us recently. He spoke very candidly about his latest album 'Black Gold', Gregory Isaacs and the impact he had on reggae music, and many other topics relating to life, music, and everything in between, including a few things about himself that most people probably don't know. For instance, he's a huge fan of Taylor Swift and he loves to play tennis! R.R.-How do you go about crafting a song? What’s your process and inspiration? D.S.- The process changes from song to song. Definitely my songs come from things that are happening around me. I’m pretty much in tune with what’s happening on a global scale. I like to know what’s going on everywhere and that’s what I write about. Beyond that, sometimes somebody ask you to prepare a particular song. Especially when it’s for someone else, then you think to look into what the person’s interests are and to write something that is reflective of that person. On the other hand, someone gives you a riddim to write for. 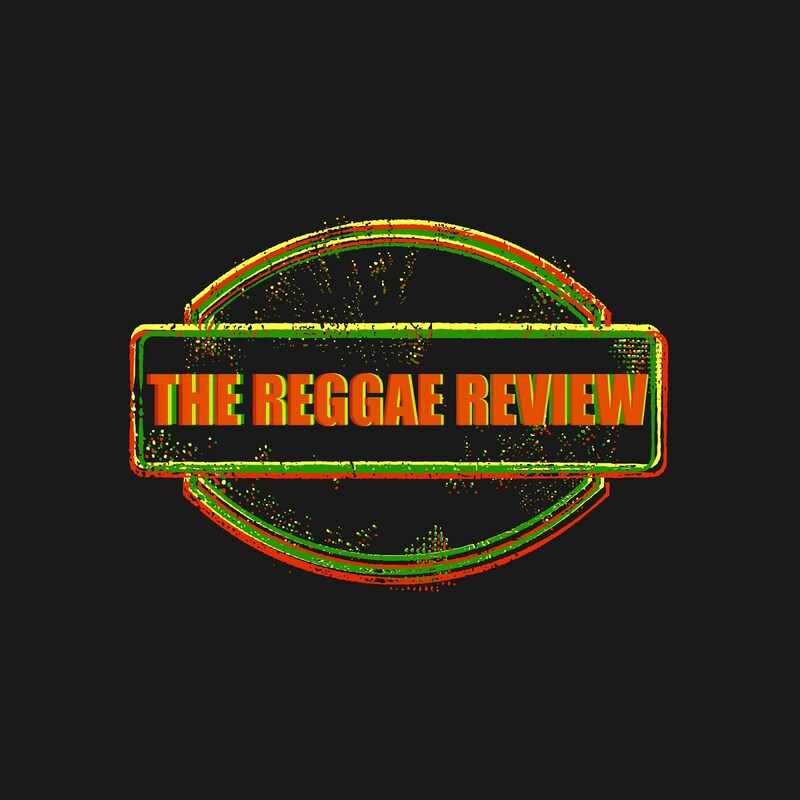 Each riddim has a tone or vibes it speaks to its own. So once you get the riddim you get a feel of the kind of song that is required for that riddim. I do a little of that, but I prefer to write from scratch. Most of what I do will be from my personal experiences or maybe a bredren’s. Sometimes in the middle of a sleep you get an idea and you jump up and write it down. Scribbles that don’t make total sense or words that don’t add up but have a melody. Sometimes I start that way and get back to it later. R.R.- You wrote 2 songs on Luciano’s latest album. Who else have you written for? D.S.- I’ve actually written on 3 Luciano albums and I’ve done work extensively with Jah Cure including ‘True Reflections’, which up to date is probably my most known piece. R.R.- You’re particular, though, about who you write for? True? ﻿﻿D.S.- Definitely. Because the way I write..not everybody might necessarily be able to carry the kind of melodies that I have a tendency to write. I write without boundaries. I write for singers. I am not a deejay. I can do a limited amount of sing-jay vibes. If I’m writing for somebody I would like to think that they have the ability to carry that melody. I like to know what the person is about, their life situation. Not everybody would suite me writing for them. So, I am particular about that. I write a certain kind of song with certain standards. There are certain things that I just will not write. So most of the people that I work with will fall within these standards. 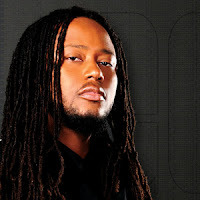 R.R.- You collaborated with Tarrus Riley on your album ‘August Town’. You also toured with him last year. How did your friendship with him come about? D.S.- I met Tarrus when I was doing my first recording as a member of the group To-Isis. Roughly 1997. We’ve been bredrens since then in terms of music. We’ve always been around each other an ting. Even when I was a part of the group I used to spend much time together with him writing and going over to his house just to hold a vibe. Tarrus career started to build up and I left the group. I used to sing background for Tarrus on the road, you know me a say? A bredren help a bredren. I was on his first record. He was on my first record. I did some work on his second album also. It’s just that this time around Tarrus got busy because the second album came out and he was running all over the place. But, we’ve always been working together on albums or projects. R.R.- When you first met Tarrus that was also the first time you were going into the studio with Dean Fraser? D.S.- Yeah, I knew Dean before but he had said he would love to work with new talent so I went to the studio with the group an everyting and the first thing I saw was dis bredren who a run up an down inna de studio, making a lot of noise and just enjoying the music. The song he was recording at the time was ‘Larger Than Life’, which was his first recording also. So, I guess because of that whole vibe, that energy..it’s pretty much that kinetic energy that made me interested in breaking into the business. R.R.- Dean Fraser has been very influential on both of your albums. Talk a little bit about him. D.S.- Most of what I know and have learned about the recording industry and the music business is stuff that I learned from Dean. Even beyond the situation with the group I started doing background for Dean because he thought there was so much more that I could have learned, and he was right. When I first started doing background with the girls I was put to shame in terms of their ability to remember what they are doing and to create their own melodies and whatever, so there’s a whole other side to the music that I had never even learned. With our group everything was pretty much taught to us and we just reproduced. I actually started expressing in terms of your own vibes and learned that the background might change according to the song that you are doing, the vibes. I’ve learned so much from him about that aspect of the business and the history behind music. Dean’s been coming up through the ranks of Bob Marley. He played for Bob. He was one of the members of Peter Tosh’s band. He was musical director for Dennis Brown. There is so much to learn from him and by extension the kind of people that he associates with. R.R.- One thing that many probably appreciate about your music is its originality. You’re not out there voicing on every riddim. Do you start your songs with you and a guitar? D.S.- Most of the time, yes. I’m not the greatest guitarist in the world, definitely far from it. One of the things I’ve learned from Dean is that you have to at least be able to fool around with an instrument just to be able to put things together and I do a lot of that. But if the movements are complicated I link up with a bredren named Monte (Lamont Savory of Blak Soil.). He’s a very good guitarist, plays with Tarrus. He plays and we work it out there. Most of the music that I do starts from there. It always starts with a good idea and then of course, a good chorus and it builds from there to a melody. I like to things that way. In terms of riddims, I probably will do one or two but I don’t think it’s something that you want to get too deeply into. A lot of people don’t totally understand what you sing so they gravitate to riddims. Then you go somewhere and the riddim is playing for like10 or 12 minutes and it becomes ridiculous. It becomes monotonous. The music loses its value. It’s not worth it. It’s one or two things out there and then you come with a thousand projects. If I’m giving an album I’d like to think it’s an original piece. Something fresh and new and not just compilations of work that I’ve been doing for the past two years, that’s ridiculous. An album should be a journey. You take people on this journey. When they put the CD in there’s supposed to be different roads on this journey, you know weh me a say?...a new path that you might take for the first time and then you bring them to an old familiar building down the road. It should be that kinda vibe. "One of the things I've learned from Dean Fraser is that you have to at least be able to fool around with an instrument just to be able to put things together and I do a lot of that. 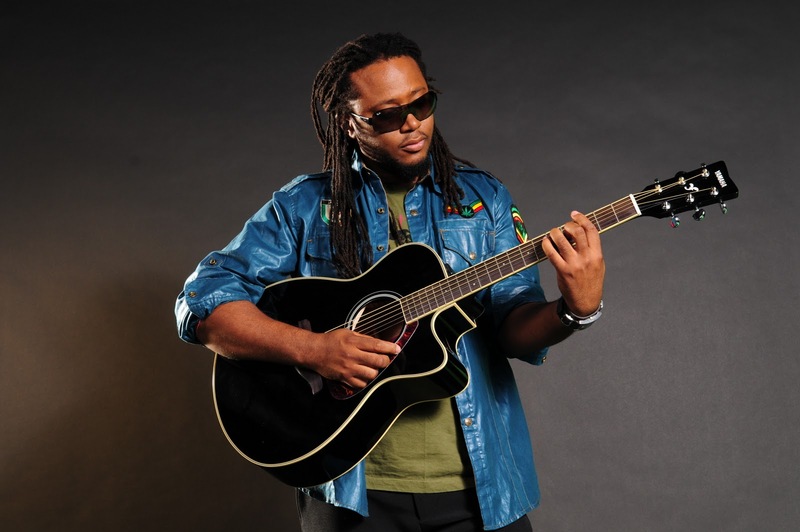 "- Duane Stephenson on the guitar being the basis for most of his songs. ﻿R.R.- You covered Tyrone Taylor’s ‘Cottage in Negril’ on August Town and on Black Gold you cover ‘Members Only’ which he also covered on one of his albums. Is that just a coincidence or is there some sort of connection between you and Tyrone Taylor? D.S.- It’s a little of both. I remembered someone singing over that song many years ago of course, clearly. But I didn’t remember that it was Tyrone Taylor until I started searching for the song. Because of publishing situations it’s always best to do a certain amount of original works. But in terms of people you need to go a little bit beyond that to satisfy people’s need for the music. You have to give a little. Having said that, I try to pay homage to some music that has been passed on, great music. It was half-way to getting this song that I realized “Rahtid, It was Tyrone Taylor was de one dat actually did ova dis song.” I guess it’s because of our similarities in our vocal range. I totally respect Tyrone Taylor and his works. To me he was an awesome singer and a great performer. I saw him perform at a veterans show about 2 years or so before he died and even as an elderly man he was still a powerful performer. R.R.- Speaking of paying homage, what are your thoughts about Gregory Isaacs and the impact that he had on the music, his contributions? D.S.- Gregory Isaacs was a great stalwart in the business. There is so much to learn from him on both sides of the music- both the good, and the bad. But, you can’t deny Gregory Isaacs great influence on the music business. In the midst of all the artists singing about social change he brought a whole different side to our music- a softer side, lovers rock. Nothing survives without balance. While all of these other great people like Peter Tosh, Jimmy Cliff, Bob Marley and all these people are on one side, he was probably the only man that was on the other side, along with Dennis Brown, that was balancing the field in terms of great love songs. Most people were thinking revolutionary changes. For so many great people to be on the other side and himself and Dennis to be balancing that side that is a true testimony to how great this man was! I don’t know if there’s a Jamaican that exists that doesn’t have a favorite Gregory Isaacs tune. Everybody has a Gregory Isaacs tune weh dem say “dat my tune deh.” He was definitely a great man. He could be anything he needed to be. He had a few revolutionary songs but he chose to be ‘the Cool Ruler’, the ladies him a deal wit, an him dress the part and his music spoke loudly about it! For a young artist coming up you can learn so much from him about how you have to ‘live’ the music you’re performing. You have to ‘be’ the music. R.R.- Like Gregory, you strike a nice balance between roots and lovers rock. D.S.- Balance is everything. You try to take people on a journey. Life can’t exist without love. I think in music it has to be that same balance, taking people through different emotions. “Does this track have balance?” You can’t just be totally down. You can’t just be totally in love. Nobody is that way naturally. Everybody has different emotions and goes through different journeys and different paths from day to day. Musically, I try to emulate that and maybe that’s why my album comes out that way. Tune in next week for Part Two of our interview with Duane Stephenson where he shares what it was like to work with Gramps Morgan and Mutabaruka, and much, much more!